By Costa Maragos Posted: June 9, 2017 6:00 a.m.
There’s a special program for first-year students already feeling a little anxious about the fall semester. 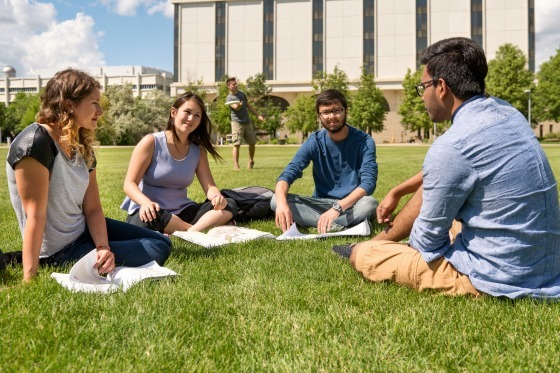 The Summer Bridge Program runs from August 8 - 29 and offers university preparation workshops, social activities and an opportunity to earn an English 100 credit. It’s the first time such a program has been offered at the U of R.
“We’re excited about this program. We know how daunting it can be for some students entering university for the first time. This Summer Bridge Program will help ease some of their apprehensions and prepare students for their fall semester,” says Naomi Deren, Associate Director of Student Success. Students will take part in half-day academic skill building workshops with a writing lab that focuses on strengthening various academic skills, including academic writing, integrity, research, exam preparation and time management. The remaining half day will be dedicated to English 100. This intensive course is three weeks long and offers tips and strategies to assist students throughout their academic careers. English 100 is accepted for credit by all University of Regina faculties. “Having earned a credit before the first semester will help ease the pressure for some of our first-year students,” says Deren. The program offers optional evening and weekend activities including a guided campus tour, movie night or a game of laser tag. “There’s a bonus here. The students will also get to enjoy our beautiful campus during the summertime. It’s a little less hectic around here in August, making it the perfect time for new students to transition to the busy fall semester,” says Deren. If you are interested, you are being asked to register by June 15, 2017. For more information please visit here.